The parish of Encamp, in Andorra, offers activities for every kind of visitor. 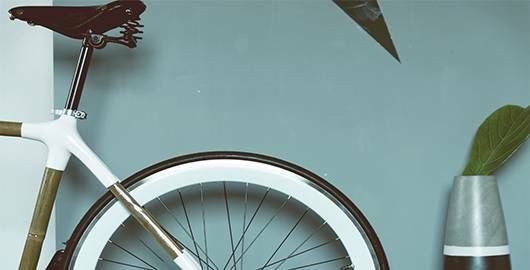 Discover these proposals at the VisitAndorra website and get more detailed information at Encamp's Tourist Office, as well as printed material and other useful resources for your stay. Keep reading to find out everything that you need to know about this tourist office. An essential visit for planning your trip! This Tourist Office is located at a privileged spot: on the Plaça del Consell, where two of the old town's most iconic streets converge: Carrer Major and Avinguda de Joant Martí, near the River Valira d'Orient. Because of this, it is surrounded by supermarkets, patisseries, restaurants, hotels and other places of interest. Monday–Friday from 9 AM to 1 PM and from 3 PM to 7 PM. Saturdays, Sundays and bank holidays from 3 PM to 7 PM. Daily from 9 AM to 1 PM and from 3 PM to 7 PM. 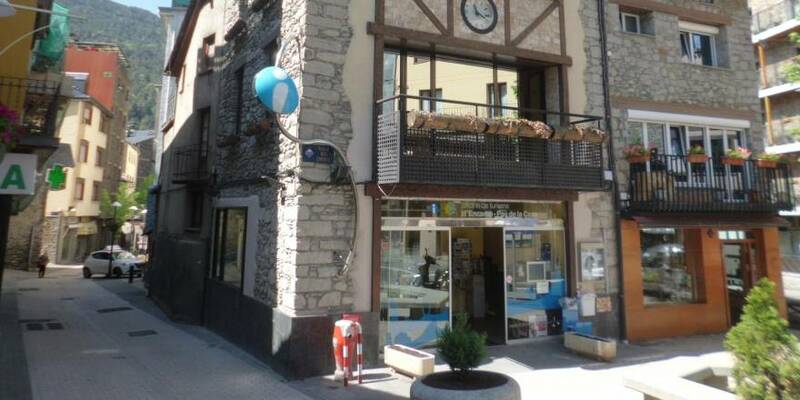 The shelves and display stands of Encamp's Tourist Office host a wide array of informative brochures, maps and printed material on the parish's attractions, as well of those found in Andorra at large. They are available in different languages (mainly in Catalan, French, Spanish and English). The office's staff will be able to assist you in any of the languages mentioned above. Detailed information is available on the parish's main attractions, including its Romanesque churches, the different active tourism options—such as via ferratas—, and its cultural spaces—such as the Casa Cristo or the Arte Sacro Museum, among other points of interest. Naturally, it also provides ample information on the Madriu-Perafita-Calorar Nature Park, a protected green haven declared a World Heritage Site by Unesco, a part of which is located within the boundaries of the parish of Encamp. Visitors can also purchase different information Guides published in the Principality on topics ranging from culture, mountain activities, cycling, etc. They can also be downloaded as PDF documents at VisitAndorra. Not only can you obtain information and advice, you can also purchase and book a number of services from throughout the Principality. The PassMuseu, for instance, is a card that grants its holder discounts at a long list of Andorra's museums. Tickets for the Tourist Bus, which operates from June through October, can also be purchased here, allowing you to discover Andorra's culture and landscapes in a different way. And if you're interested in hiring other services, such as mountain guides, or making reservations at spas or wellness centres, our professionals will tell you how to do so. 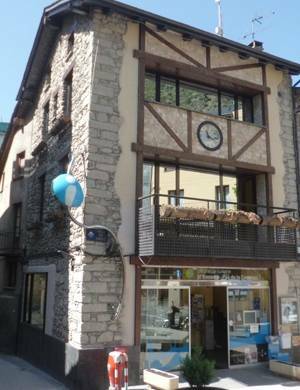 If you pass through Encamp, don't forget to stop at the Tourist Office!